Visual Studio Code>Programming Languages>POV-Ray Syntax Highlighting New to Visual Studio Code? Get it now. This extension has been deprecated and replaced by the POV-Ray Extension for Visual Studio Code. Extension for Visual Studio Code to add Syntax Highlighting for the Persistence of Vision Raytracer. Extension is available in the Visual Studio Code Marketplace. 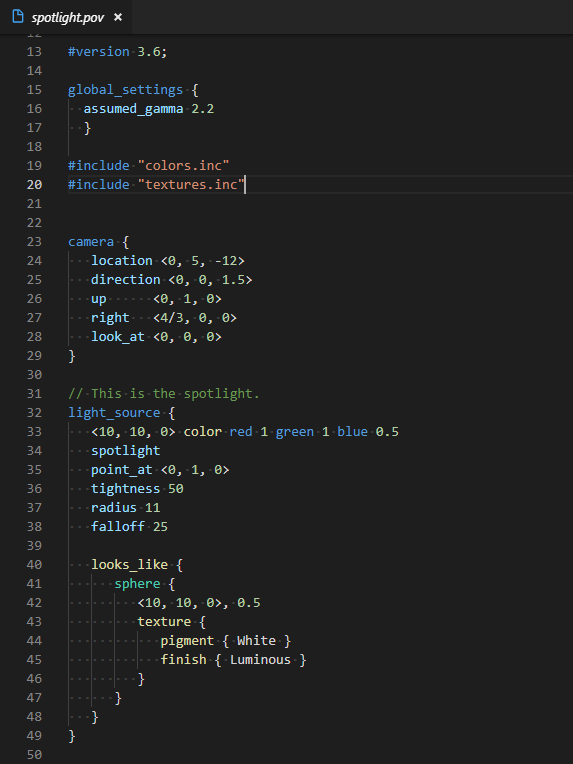 Adapted for Visual Studio Code from the atom-language-povray project that adds POV-Ray syntax highlighting to Atom.